REcon has started posting information about their training sessions such as the Advanced Reverse Engineering session with Nicolas Brulez. The Last HOPE just announced its speaker list. It includes the infamous Kevin Mitnick, Mythbusters co-host Adam Savage, and author Steven Levy to name a few. The DEFCON team also released the first batch of speakers for this year’s convention. Qualification starts tonight at 10PM EST for the capture the flag (CTF) contest so be sure to get registered. Check the txt for more information. We recently talked about the beverage cooling contraption contest, but you can find many other contests on the forums. Acimods contributor [Blizzrad] has just finished one of the cleanest mods we’ve seen in a while. 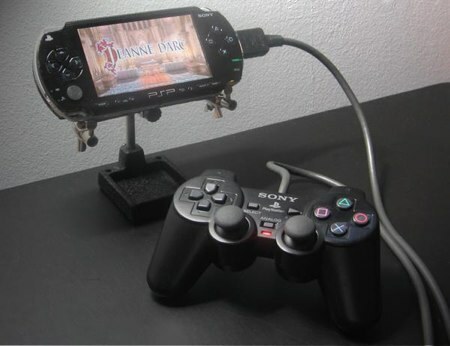 With minimal modification to the outside of the PSP he was able to add an external PS2 controller. This naturally took a lot of internal modification. The controller and PSP use a 25 pin SMT connector salvaged from a laptop. The controller’s connector housing is from a set of component cables. Video after the break plus some wiring pictures. [Maurin Donneaud], the giant fabric keyboard builder, has also been working on the XYinteraction tactile interface. XYinteraction is made of two sheets of fabric stretched across a square frame with the conductive threads of each sheet running in opposite directions. When the user touches one of the sheets, it makes contact with the other sheet, relaying x-y coordinates to a computer via a LilyPad Arduino. More details after the break. 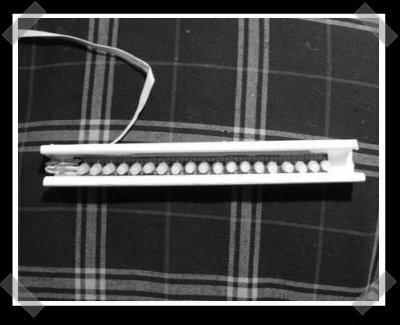 [Shadow] sent in his ambient LED strip project. He picked up a ton of RGB (Red/Green/Blue) LEDs off of eBay and built several LED strips. To get up and running, he used an LED-wiz controller. With the off the shelf controller, this is a pretty easy project, and the ambient lighting effect looks great. Check out the video after the break or on the project page. In 2006, we posted about [rafkep]’s similar ambient lighting project. MediaDefender takes down Revision3. Revision3 posts about it; takes down self. Video of cyborg Luke arm from All Things D shows a 3 armed engineer; we’d like one too. Comcast gets defaced by meddling kids. BBtv goes to a wearable technology fashion show. See an interesting project? Please send us your tips!